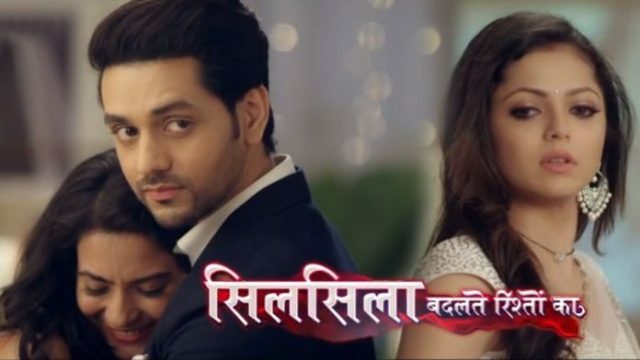 In the latest written update of Silsila Badalte Rishton Ka 23rd November 2018, Kunal follows Pramilla to reach Mauli’s engagement. As we all that Kunal does not get that who is the father of the Mishti. In the latest episode of the Tv serial Silsila Badalte Rishton Ka, there is high suspense is there. Today’s episode of the serial begins with Mauli’s leaves the building with her family. As soon as the lift was free. Kunal had decided to climb the trails and rushes upstairs. He enters the house calling Mauli. Pramilla was packing the luggage and turned to leave. Kunal wonders that if everyone has left for engagement. Piramilla was shocked to saw that Kunal was there. She tells to Kunal that no one is here right now, and he may come something later. Kunal requests Pramilla to told her about Mauli, he has something important to spoke to her. It is after so many long time that her life is moving towards happy times. Kunal wonders whom to talk to at this time. In the hall, Mamma finds that Ishaan carefully looking after the arrangements. Mamma comes to Ishaan and said he would be a better husband than her Kunal. He would be a very good son in law. And I wish that you and Mauli both were spending the good life with each other. Kunal called on her number but her cell phone was on another corner of the hall. Kunal thinks that if it is Mauli’s engagement, he is waiting time and must follow Pramilla. He walks down and found Pramilla. He walks down and finds Pramilla leave in a taxi cab. He follows the taxi cab. Mauli comes to the hall as the bride. She was about to slip from the stairs step. Mishit now comes to help her and takes her towards the stage. Precap: Kunal brings Mamma to a godown. Mamma tells Kunal to leave. Kunal asks Mamma whose daughter Mishti is.